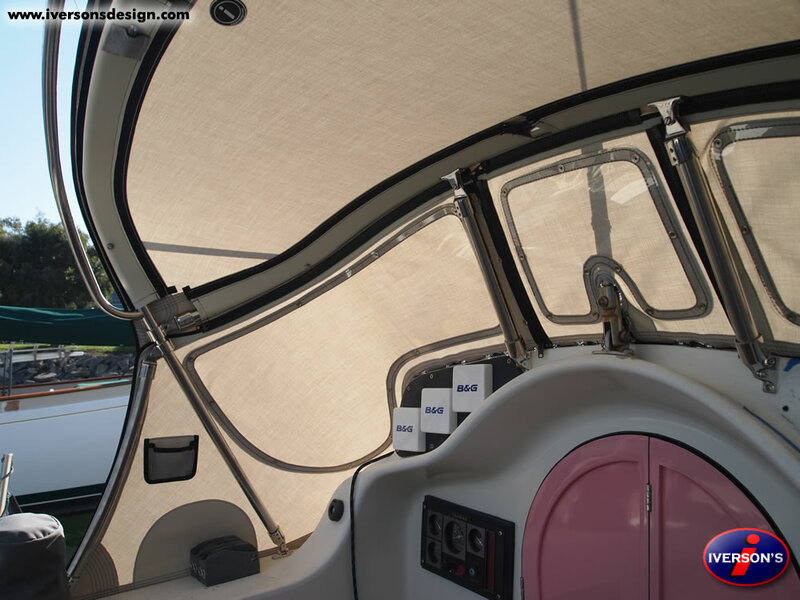 This iTop Dodger was made with Makrolon windows, includes our optional Window Covers, and also replacement panels made of Sunshade Screen. 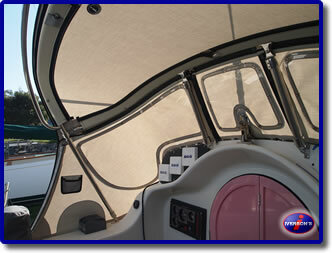 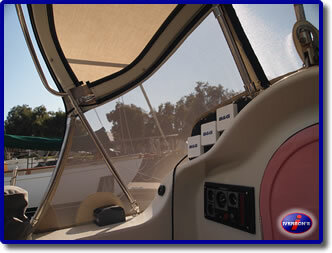 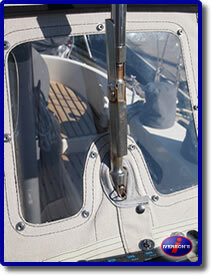 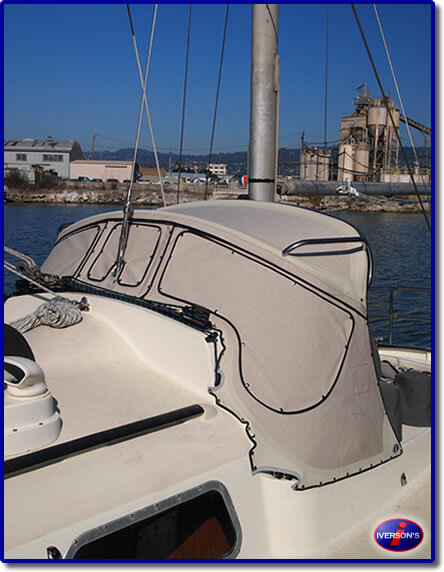 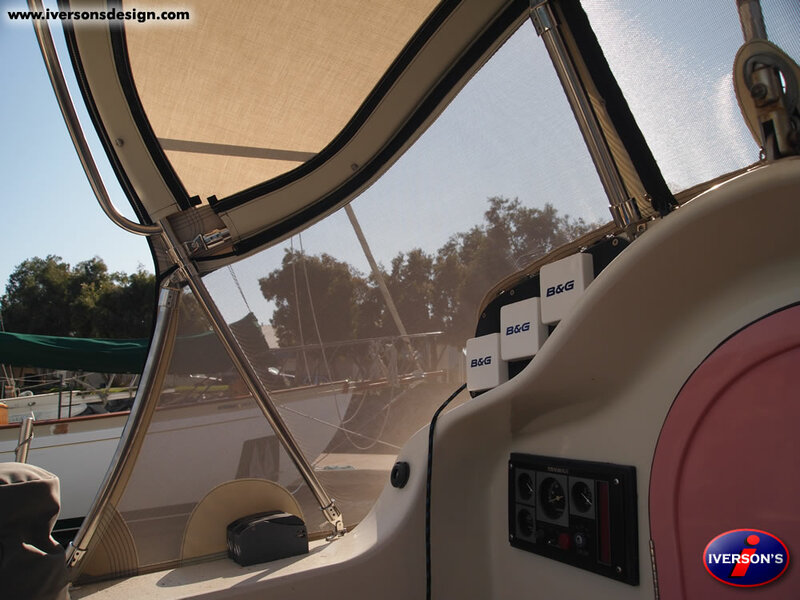 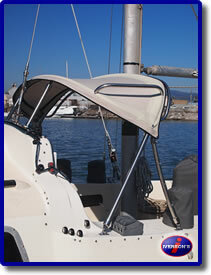 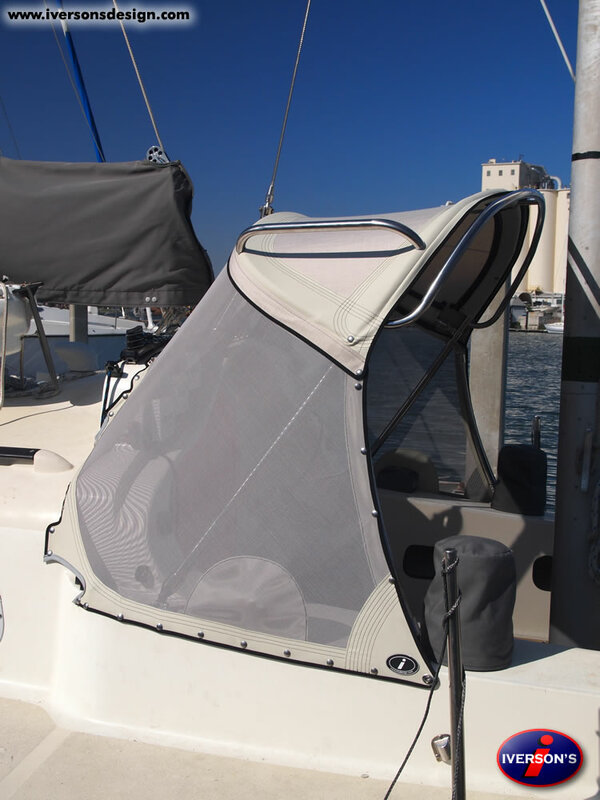 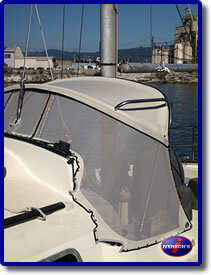 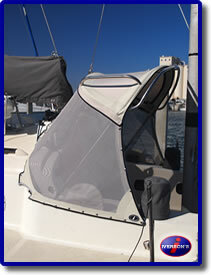 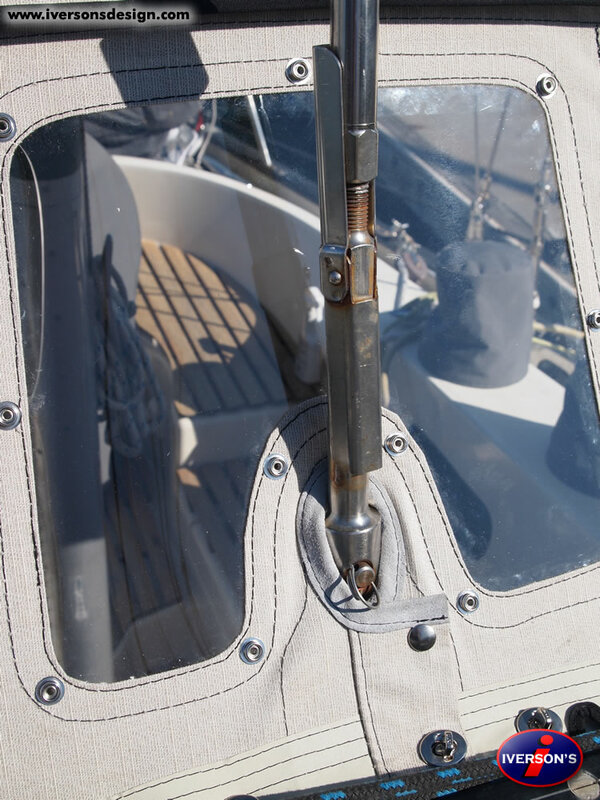 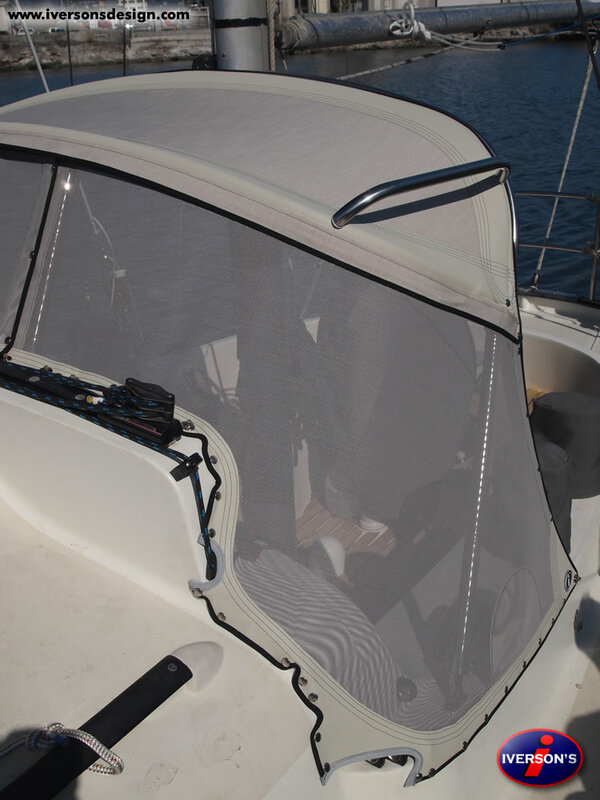 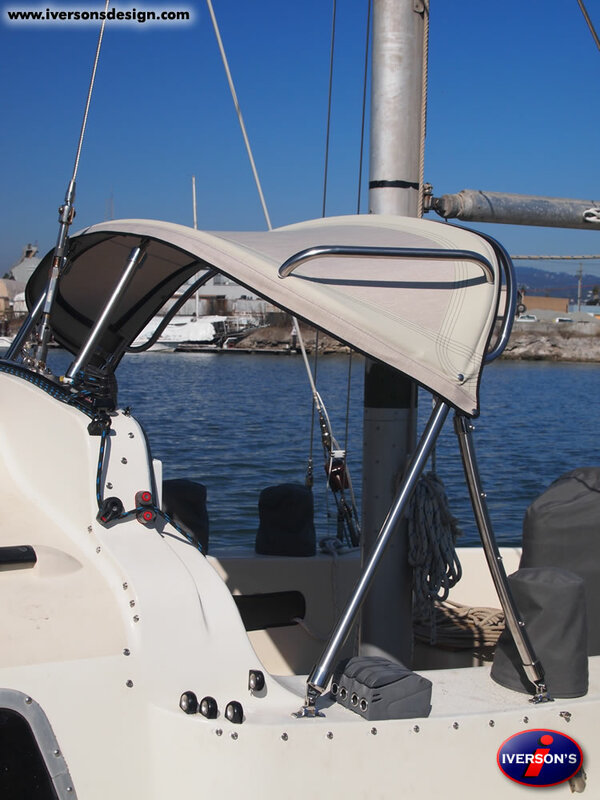 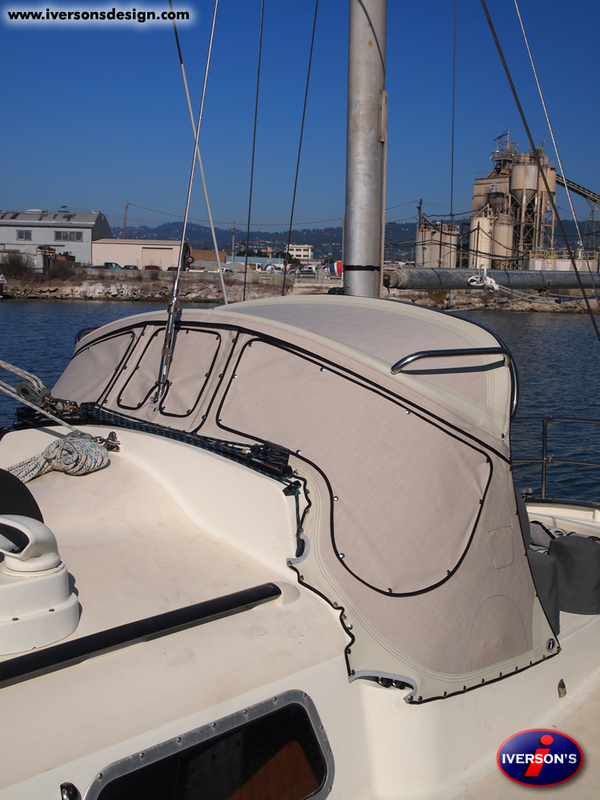 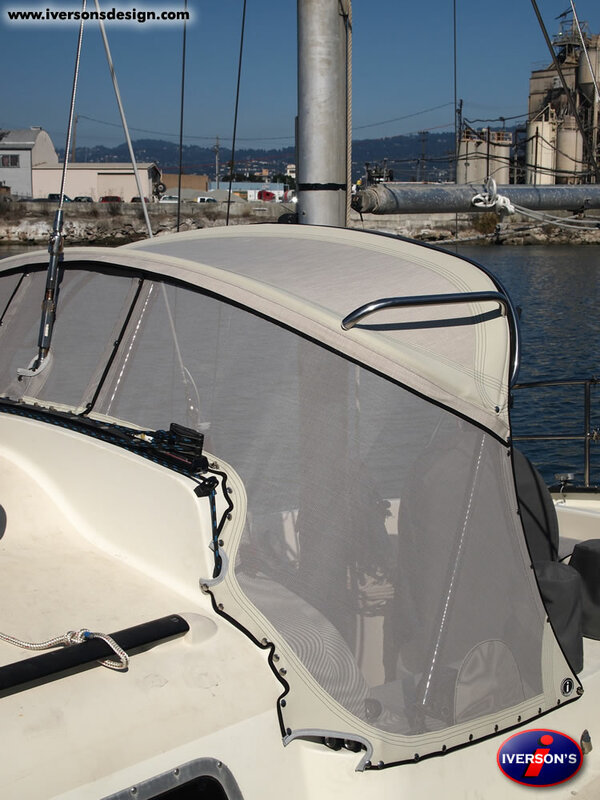 Sunshade panels are a great addition to your dodger or enclosure and provide you with the ability to escape harmful UV exposure that generally transmits through your dodger windows. 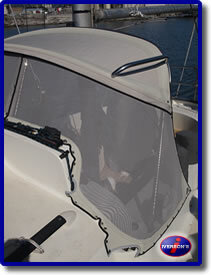 Visibility is still excellent with these panels in place and airflow is increased through the dodger helping to keep things cool.